During your opponent's Battle Phase: You can banish this card from your Graveyard; end the Battle Phase (this is a Quick Effect). 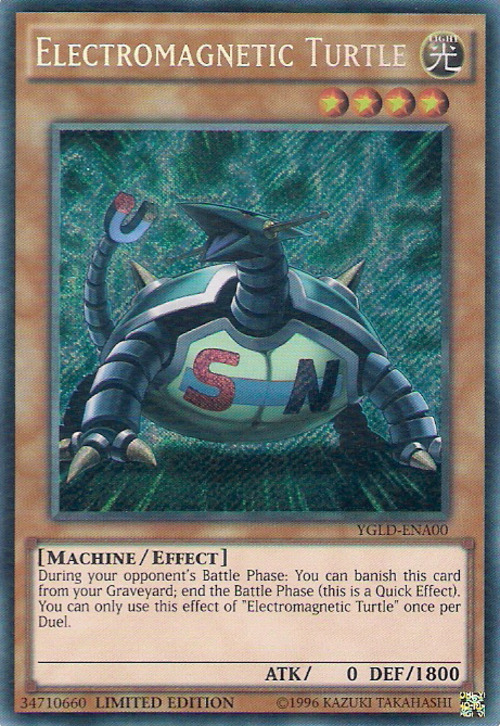 You can only use this effect of "Electromagnetic Turtle" once per Duel. 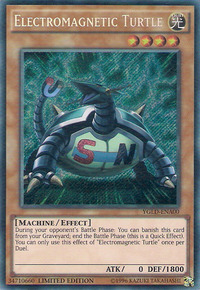 The card Catapult Turtle is similar to this card, as they both have a turtle-like design, robotic appearance and are used by Yugi Muto in the anime. Banishing this card from your Graveyard is a cost to activate this effect.